5 The Following are Unique Cat Toys for Indoor Cats!!! Is Interactive Playtime Good For You and Your Cat? Interactive play between you and your cat means that the both of you are engaging in an activity you each enjoy and find fun. Nothing is more endearing than seeing cats at play. All Things Cat will continually bring you the most innovative cat toys. Not only is using an interactive toy fun for the both of you, and a great bonding experience, it also has a lot of very worthwhile benefits for your pet. You can be creative when finding new interactive games to play, and while you stimulate your cat’s brain and body you can also relieve some of the stress from the challenges of life. It’s hard to feel frustrated or discouraged when you and your kitten or cat are adamantly engaged in a game. Playing with your cat is a good investment of your time. Interactive cat toys can really help. When you play with your feline companion you are actively forming a bond and strengthening your relationship. You are even building trust between you and your cat. This is one of the most ideal ways to enrich your relationship with your pet, and let them know you are their friend and they can depend on you and trust you. Aside from this you obviously have a pet for a reason, and spending time with it and laying down a relationship is all part of owning a cat. Physically it lets your cat burn some energy and get some exercise. This is also naturally good for your cat’s metabolism, bones, and muscles. 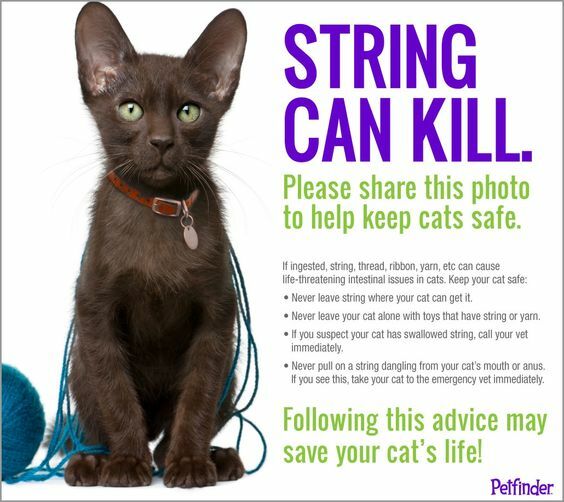 If your cat it still growing it can help them develop into a strong healthy adult, and if they are already grown then it can keep their weight and health where they should be. 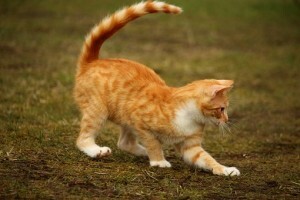 Playing is good for your cat’s mental function too and stimulates your pet’s brain. Cats who participate in such games are also much less likely to have behavior problems or experience other issues. In general it has been known to decrease shyness, stress, fear, and even aggression. They tend to get along better with people and animals, be more social and friendly, and less destructive. Interactive playing is one of the best ways for a cat to unleash their prey drive. Make sure that you have fun interactive cat toys and not one that can hurt the pet. It is written in your pet’s DNA to want to hunt. The more your toy imitates the movements and behavior of real prey the more invested your cat will be in the game and the more stimulating it will be. Be sure to alternate between slow and fast movements and give your cat the chance to use all his/her senses when playing. It is important that your pet gets the opportunity to catch the toy sometimes. 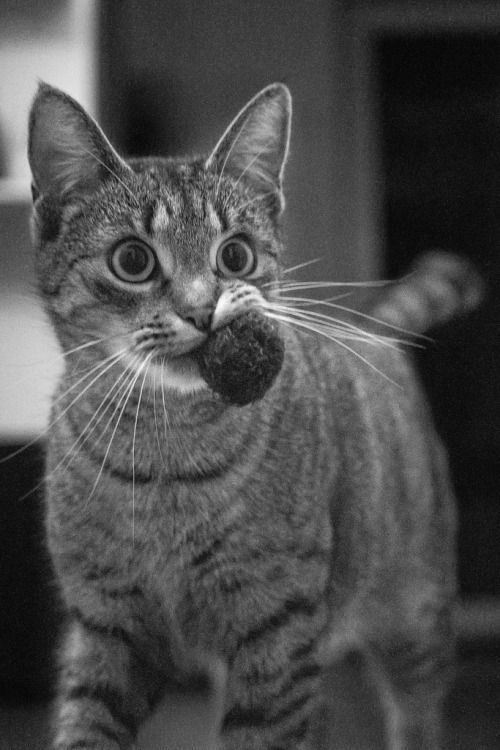 If they never get to catch the toy playing can be a lot more frustrating than it is fun, but letting your cat capture their “prey” gives them great satisfaction—just make sure you keep it interesting. Schedule time out of your day to play so you don’t forget, and you certainly won’t regret doing so. Don’t forget to give yourself or another cat lover, Cat Lover Gifts!! 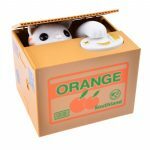 The Following are Unique Cat Toys for Indoor Cats!!! You Can Watch on its Camera!! You can Speak via its Speakers!! The Pet can Play with the Beam!! 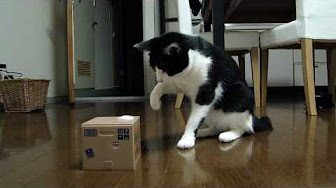 Watch and play with your cat when you are not at home! 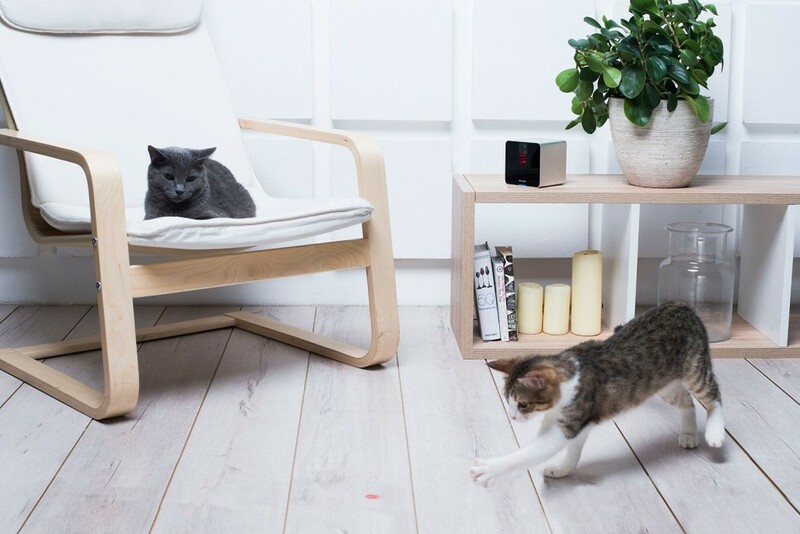 This camera allows you to use your smartphone to watch your cat in a room, talk to it and use the laser beam to interactively play with it. You can be on vacation, at the office, in your care, wherever, to exercise and enjoy your pet. It also has the capability to allow you to take photos and let others (family members, friends) also watch, play and visit with your pet. The most innovative interactive pet toy!! 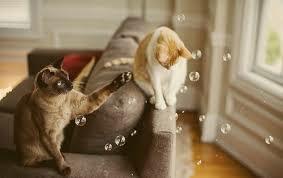 Cats love chasing bubbles. They are enamored with them. 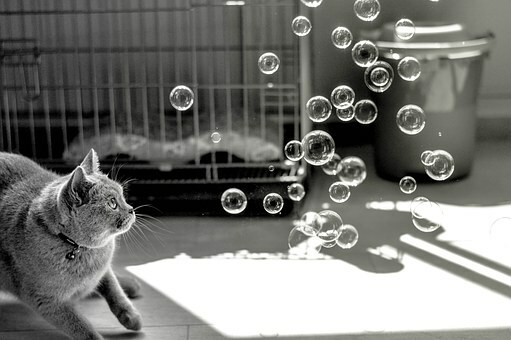 You can play Chase the Bubbles game with your cat. 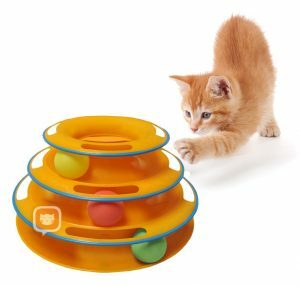 Watch as your cat runs, jumps and pounces while exercising during this interactive playtime with you. This will keep you and your cat busy for quite a while. A Bubble Machine will make this so much cleaner and easier than using a wand to make them. Additionally there is a constant stream with very little effort on your part. Go ahead, enjoy some fun time with your cat!! 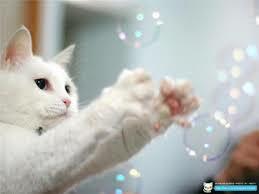 Check out the following link for a great video featuring cats actually playing with bubbles. Here. Bubble Machine an Interactive Cat Toy is really fun!!! 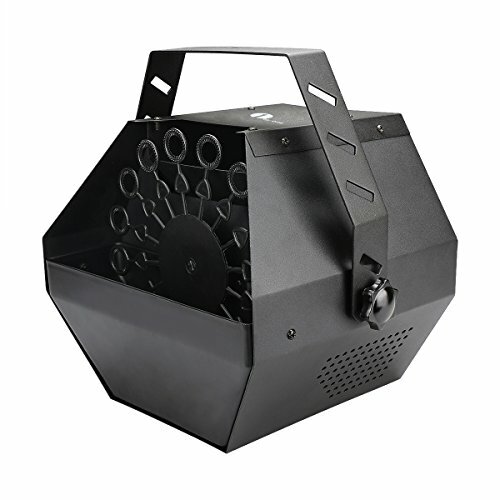 Buy Bubble Machine for Cat Fun!! 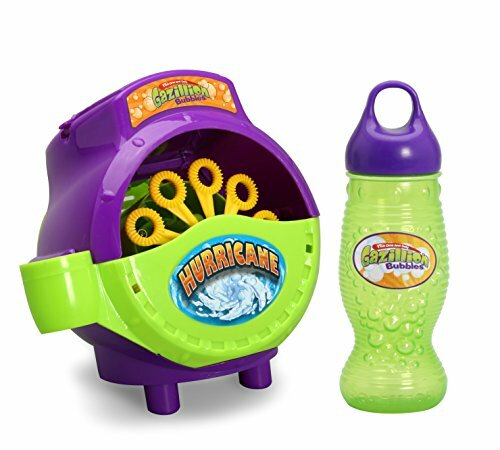 Great interactive toys. 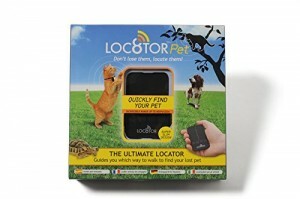 Allows your cat to play hunt, stalk and scratch. 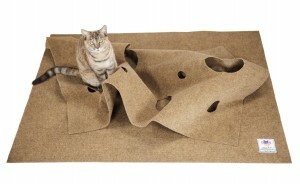 You can move the rug in any formation desired allowing your cat endless new space to play. It can also, nap and groom all in one area. Cat playing with moving ball. Great for physical and mental exercise.